Colstrip, Montana, owes more than just its name to the Powder River Basin coal beneath it. The resource fuels the town’s economy, from its origin at the nearby Rosebud Mine to its incineration at the Colstrip Generating Station — the second-largest coal-fired power plant in the West. For decades, the plant dominating Colstrip’s skyline has supplied energy for more than 1.5 million homes as far away as Washington and Oregon, but the eastern Montana town now faces an uncertain future. The Clean Power Plan requires utilities to nearly halve carbon dioxide emissions by 2030, and the Colstrip plant is the state’s biggest greenhouse gas emitter. Legislation in Washington state may phase out the two oldest power units at Montana's Colstrip Generating Station. Meanwhile, both Washington and Oregon are considering legislation that would likely phase out the plant well before the federal deadline, confronting Colstrip with an uneasy and ahead-of-schedule reminder of its boomtown mortality. “It’s a one-horse town. Coal is obviously the horse,” says Jim Atchison of the Southeast Montana Development Association, based in Colstrip. Although the coal industry nationally faces slumping demand for its product and mounting regulations — including a moratorium on new federal coal leases — Colstrip has been largely insulated from the same volatility. That’s because it already has an established and reliable customer: All local coal goes straight from the Westmoreland Coal Company-owned mine to the power plant. The four generating units at the Colstrip plant are owned by six different utilities — only one of which operates in Montana. The facility’s largest owner, Puget Sound Energy, supports a Washington state bill that would allow it to gradually decommission the two oldest units. In Oregon, Colstrip-stakeholders Portland General Electric and PacifiCorp have supported similar legislation, aiming to sever ties with the plant by 2035. Elected officials across Montana have expressed concern over the proposals — even traveling to Olympia to address Washington lawmakers. Clean power advocates, however, say the increasing demand for renewable energy should signal that Colstrip needs to act now to diversify its economy or risk being left behind in an increasingly carbon-conscious energy landscape. That, of course, is easier said than done in a town of 2,300 residents, where coal and the economy are so inextricably linked. “Just about 100 percent of the population are either directly or indirectly related to the power plant or involved with energy production,” says Colstrip mayor and retired power-plant worker John Williams. The power plant and the mine each employ nearly 400 people, and many fear those totals would be slashed if production at the generating station is scaled back. Williams and other opponents of the Washington legislation argue that the economic impact of closures at the generating station would not just be confined to Colstrip, but would reverberate throughout Montana. “A lot of people are not aware of how much of an economic engine the Colstrip plant is to the entire state of Montana, not just in lost jobs but lost tax revenue,” says Atchison. Coal severance taxes help support schools and other programs statewide. “If that nightmare occurred, I would sure as hell hope we receive external funds,” Atchison says, considering the scenario of Puget Sound Energy’s legislation coming to pass. Although he is unaware of specific state or federal funds that would be designated to the town, he’s confident that Montana reclamation laws are enough to prevent the companies from leaving a costly mess in their wake. 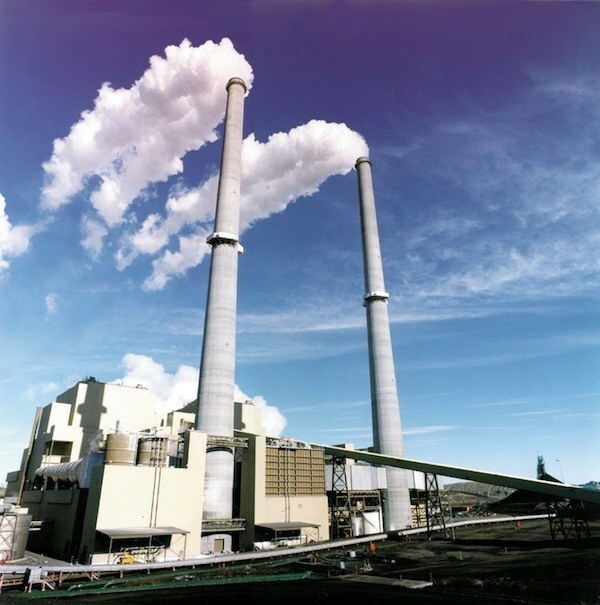 But even in Montana, environmental advocates believe that it’s time for Colstrip to phase out the plant that emits about 15 million tons of carbon annually — especially the older units targeted for closure, which they say are already beyond their projected lifespan. The economic concerns voiced by opponents are overblown, Anne Hedges, the deputy director and lead lobbyist for the Montana Environmental Information Center says. She suggests that any short-term impact to the Montana budget could be mitigated by the state’s $1 billion coal severance tax fund. If old units at the plant were to be phased out, she says other work opportunities would present themselves, such as the installation of technology to boost the efficiency of the remaining units and remediation work to address contamination from coal ash ponds in the area. “You don't have to lay off any workers if those workers are willing to do the remediation and reclamation work that is going to take decades,” says Hedges, who sees that as an essential first step in recruiting new industries to Colstrip. Ultimately, she says the town will need to pick a strategy and commit to retooling its economy if it wants to survive — and will need to do so soon. Prior to the introduction of this year’s amended bill, a similar initiative faltered in the Washington statehouse in 2015. The bill may be brought up in committee this month.